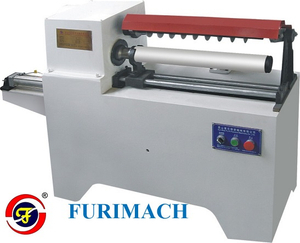 Suitable for cutting paper cores automatically. 1. It adopts circular blade cutting width cylinder auto knife feeding and auto unloading. 2. Cylinder movement is controlled by the valve and equipped with precise aluminum mould to ensure efficiency and product quality.